A lifetime of playing and working in the sports world taught Mark Noonan to embrace every new challenge, and work hard to achieve each new goal. He’s got quite a resume. In 1981 and ’82, he helped lead the Staples High School soccer team to a pair of undefeated seasons and state championships. In 1986, he was a key part of Duke University’s national soccer title — the first for the school in any sport. Noonan served as director of integrated marketing for Gatorade, chief marketing officer for US Soccer, executive vice president of Major League Soccer, and chief commercial officer for the World Surf League. 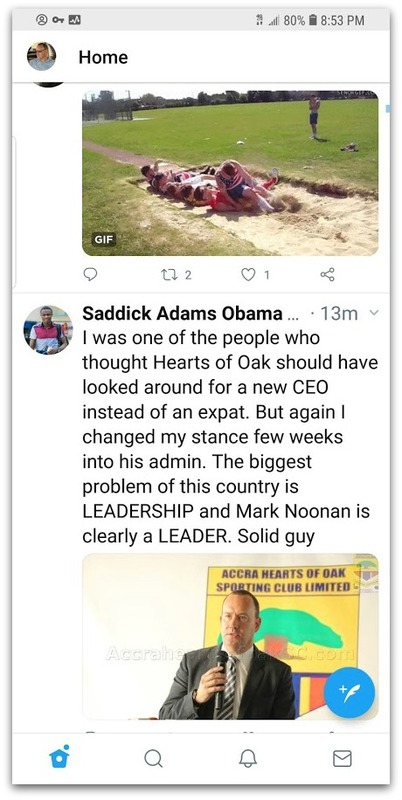 Last year, Noonan took on a new title: CEO of Accra’s Hearts of Oak. With 10 million fans — 1/3 of Ghana’s entire population — and a history dating back to 1911, they’re one of Africa’s top teams. 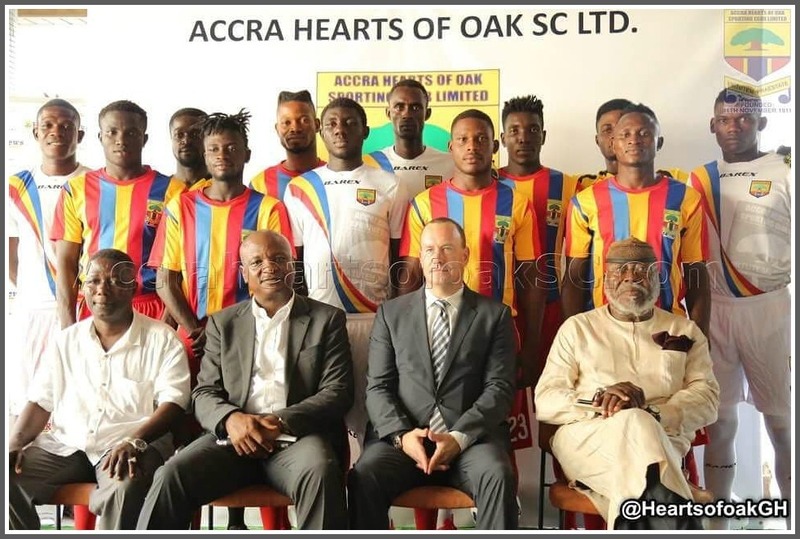 Mark Noonan, with Hearts of Oak players and staff. Ghana is one of the top producers of soccer talent in the world. Noonan believes they can win a World Cup, if properly developed and supported. But, like many African clubs, Hearts of Oak were not getting top dollars in transfer fees for their players. Their youth academies and training facilities were not on the level of European and South American clubs. Shady agents and managers poached players long before they were physically, mentally or emotionally ready to leave the country and their families. Noonan was hired to help remedy that. He also had a vision: for Hearts to make a difference in the lives of its players and supporters, making them proud and happy in the face of challenging circumstances. He and his wife Katie — an accomplished musician — headed overseas. They were excited by Ghana’s unique culture, tropical climate and thriving highlife music scene. Katie Noonan (left) and friend at a Ghana market. Growing up in Westport helped prepare Noonan for the move. As a community that “valued diversity, creativity and had a real soccer culture,” he felt prepared to understand and respect his very different new home. But nothing prepared him for the big egos and massive corruption he found. Or the entrenched ways of doing things, unlike anything he’d ever seen in the sports or business world. Just a week after he arrived, the government shut down Hearts’ 40,000-seat stadium, for renovations. There had been no warning, or planning. Noonan scrambled to find alternatives. 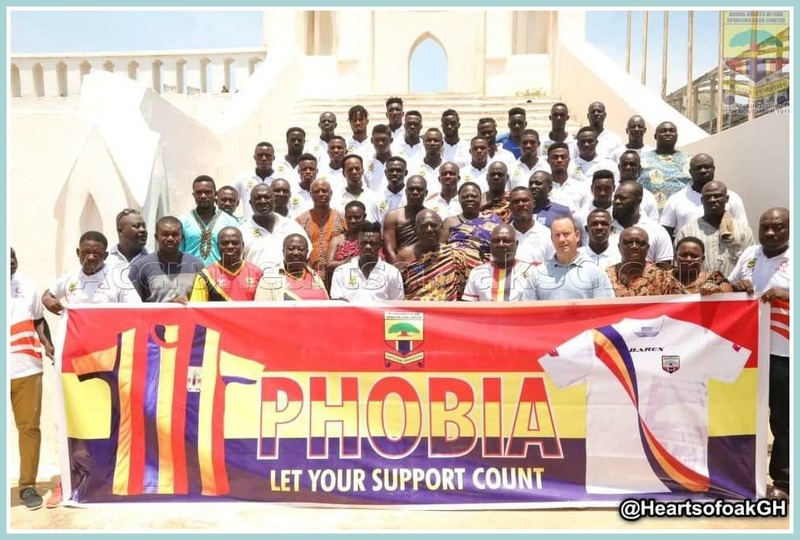 The Phobians — that’s the team’s nickname, a legacy of the fear they were said to inspire in opponents’ hearts — played 7 “home” games in facilities up to 3 hours away. Mark Noonan, with Phobian supporters. But that was minor, compared to a corruption scandal that rocked Ghanaian soccer. An investigation showed dozens of people, from top administrators and team executives to referees, accepting bribes. The president of Ghana dismantled the country’s Football Association. Its head was banned by FIFA for life. All professional matches were canceled. It’s been 9 months since the league was shut down. To keep the team going, Noonan arranged friendly matches. He also sold players. He is proud that — unlike nearly every other club — Hearts never missed a payroll. Nearly 100 people rely on Hearts for their livelihoods. 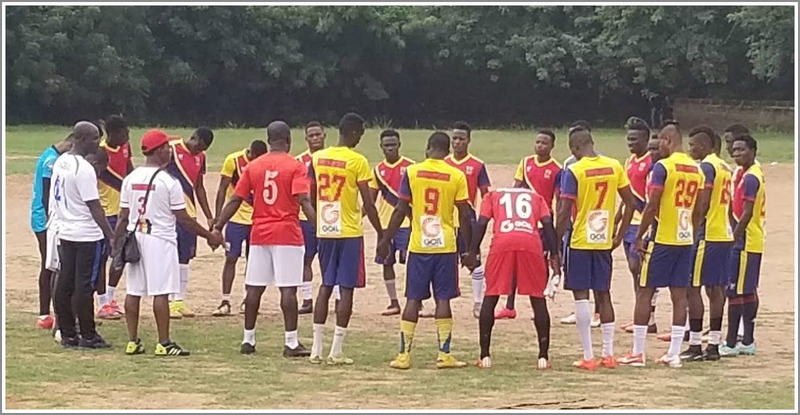 Hearts of Oak players and coaches at training. Noonan is proud of bringing “stability, credibility, transparency and professional management” to the club. He revamped the technical department, re-branded the club, engaged supporters, brought Umbro in as a world-class supplier, moved the team to a new training facility, and began to build a youth academy. He learned a lot about a different part of the world. Accra is a city of 8 million people, with 5-star hotels sitting not far from third-world infrastructure. “Living in a developing country is hard,” Noonan admits. “I had a nice apartment, a car, a driver, a chef and housekeeping — and still it was not easy. For the first time, Noonan experienced life as a minority. He went days without seeing another white person. Mark and Katie Noonan, with Phobian supporters. He says that while he was respected for his credentials, and his work to help change lives, there was an undercurrent that a white person (“obroni,” in local lingo) could not understand Ghana’s culture. English is the national language. But whenever people did not want Noonan to know something, they switched into a local dialect. Ghanaians truly like Americans, Noonan says. Many have relatives in the US, or want to come here. He was often stunned by gifts of homemade clothes, or invitations into homes. He will never forget those kindnesses. Praise for Mark Noonan, on social media (from Obama!). “I’ve never been in a job before that could change people’s lives,” he says. He points with pride to What’sApp messages he continues to receive. “Father, we miss you,” his players and club supporters say. They miss him because, this month — facing so much greed, corruption, and the continued lack of a league — Noonan reluctantly returned to the US. He’s still advising Hearts of Oak. But he’s reopening Focal Sport — the consulting business through which he once worked with MLS, the British Open, the US Tennis Open and the international basketball association FIBA, and helped negotiate Citi Field naming rights — and is looking for more opportunities. In other words: Mark Noonan is once again setting up new goals.